After noticing a recent spike in gun sales, a television station sent out a reporter to find out what was going on. 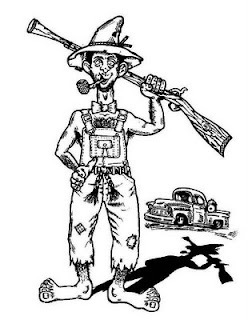 The reporter found a redneck toting a shotgun over his shoulder and asked him, "Excuse me, sir, Why do you think guns have been selling so well lately? He responded immediately, "Haven't you heard? Russia invaded Georgia a while back! Just let those commie jokers try that with Alabama!"